Undergraduate preparatory courses (3 credits) may be imposed by the Academic Advisor if prior learning does not meet specialization requirements. You have one year to take these courses, preferably at the start of your studies. See the structure below for the non-exhaustive list of courses. 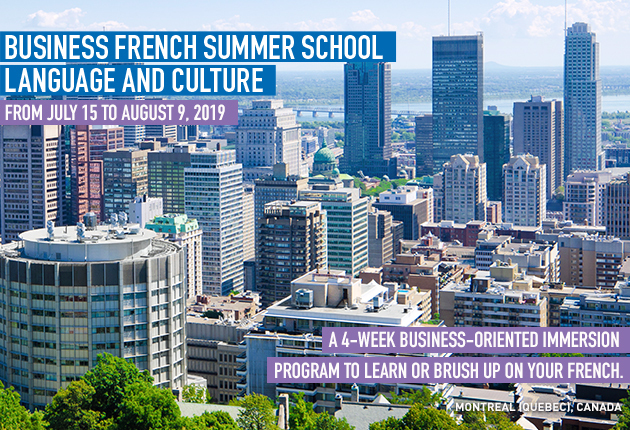 If you only have an undergraduate degree from the French system, you will be required to complete 15 credits (5 courses) in a short MSc preparation program. Choose one 3-credit course among the courses offered in the MSc, including those of the specialization, or the PhD programs. You may take up to 3 Master's program course credits from another university. This choice has to be approved by the academic supervisor.